Window Browsing is Better than Shopping. Holidays are often the best times for tourists with chance to see New York City during their vacation. For New Yorkers its also a time to brood and avoid all the any plans that involve remotely going near main points of traffic. 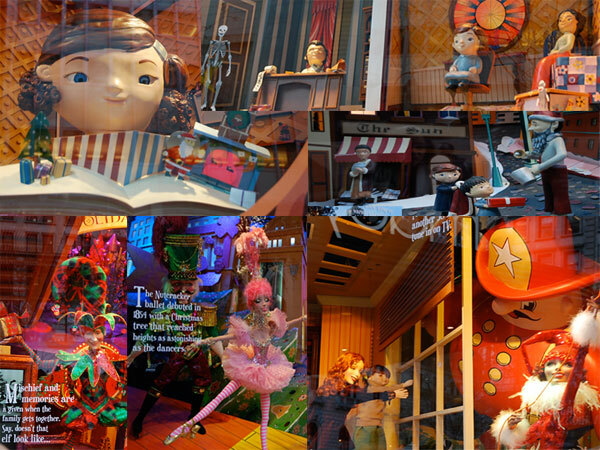 However there is one that thing that both tend to enjoy is the holiday window displays. People line up and wait just to see what will light up and what new themes stores have come up with. 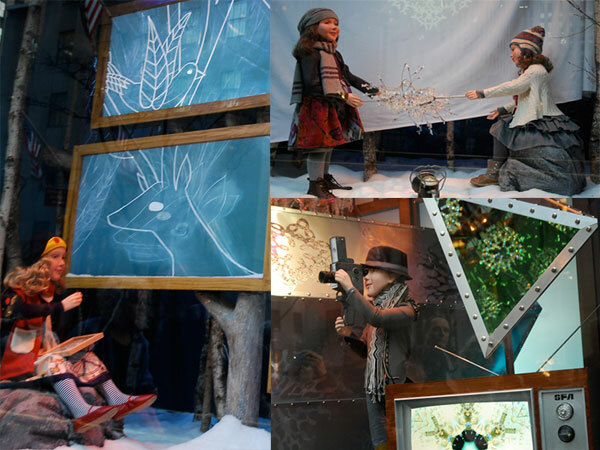 Like the ice rinks that open, the special markets that open during this time of year, stores get into the season by decorating their windows with images that inspire anyone to take their camera out. I personally recommend starting midtown and walking up. Depending on the time of day you can visit them all in one day - be prepared to brave crowds and have your walking shoes on. Barney's New York displays have been in the news when they announced a collaboration with Disney. As fitting for the "Electric Holiday" Collection, Barney's is lit up like a neon tree with screens showing an original animation featuring Disney characters like Minnie, Mickey, Daisy, Tiana, Cruella DeVil, etc. along side real-life faces like Sarah Jessica Parker, BryanBoy, Lanvin's Alber Ebaz, Cathy Horyn, Naomi Campbell, etc. 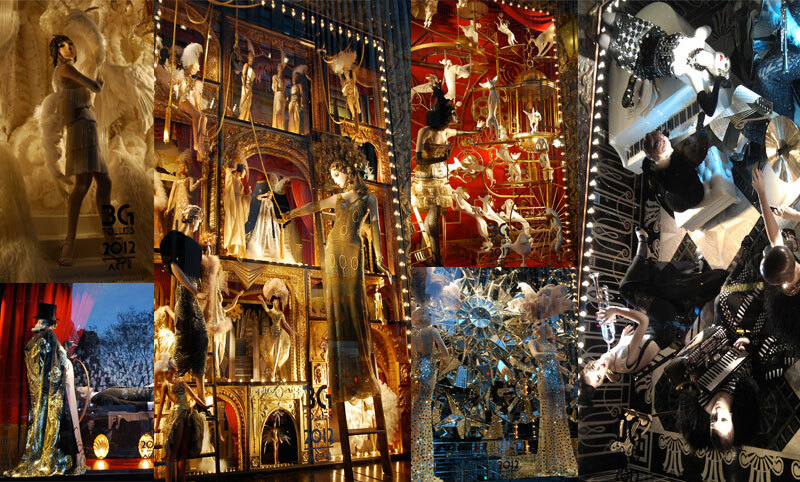 Bergdoff Goodman also has a jazz theme that is becoming a fan favorite of mine. With scenes of a party underway to a scene from a circus act to a couple dancing the tango, one can't help but take a picture to bright up your day. 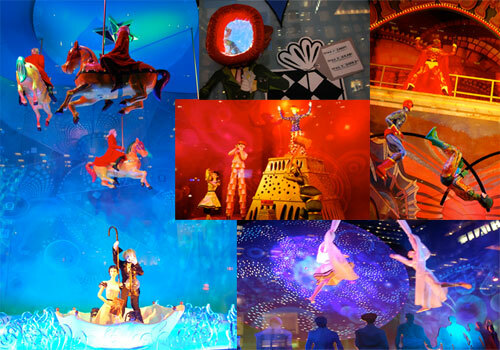 Bloomingdales takes you to the circus with scenes from Cirque du Soleil: A World's Away. There are luchadors wrestling, ribbon dancers flying through the air, and carousel in the sky. 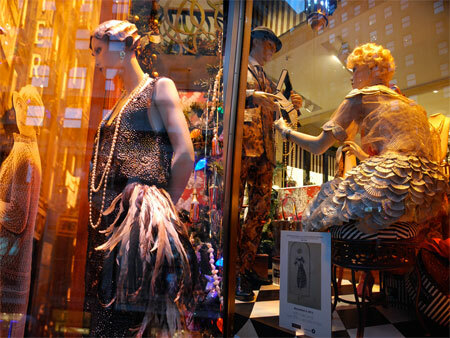 Henri Bendel illustrate jazz age scenes with mannequins dressed in period fashion made of unusual materials like coffee beans, newspapers, an cupcake liners. This display was a collaboration with the Brooklyn Museum and features a place card in each window of the source of historic inspiration. Lord and Taylors - See Santa visit the sights of Christmas around the world and New York City. With scenes of Central Park Zoo to a Christmas party to a scene of snowfall in Japan. 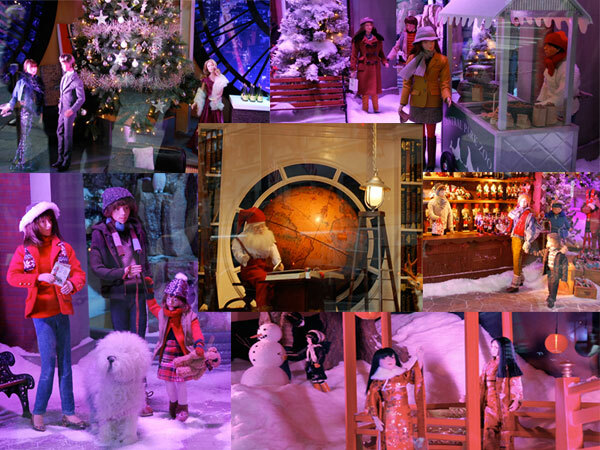 Macy's - The famous department takes a more traditional route by depicting the story of "Yes Virgina, there is a Santa Claus" on the 34th Street side. On the other explores the "Magic of Christmas." Saks Fifth Avenue - As fitting of the famous department store, there is a two-minute light show to go along with the displays from 5 - 10PM everyday. Depicting a tale about a Yeti that lives on the roof of the store. Meanwhile on street-level, one can enjoy nostalgic scenes of children playing - something we all wish we could still do. 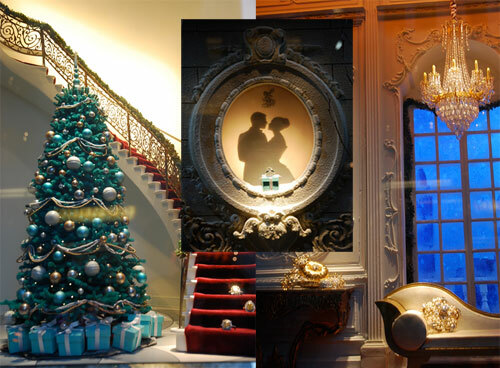 Tiffany & Co. - If you're significant other can't take the hit, perhaps they should take a look at these windows. Depicting a traditional scenes of Christmas trees with little blue boxes with white ribbon surrounding the tree, to doorsteps of rings covered in snow, to a simple silhouette of a couple in love.